Please bring a toy or a gift to the Notre Dame game on Saturday. 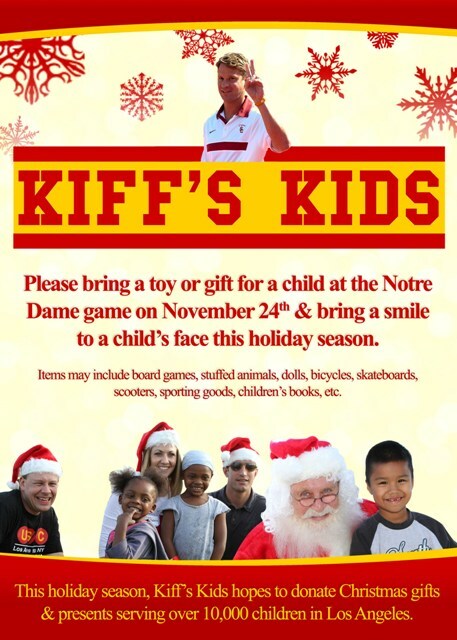 Kiff’s Kids will be accepting donations at the gate for the holidays. All donations will go to needy children in the Los Angeles area. Check out the flyer below or click here for more details on how to donate.